If you are looking for furniture items that are not only comfy but give you a lot of fun, a patio swing chair is a great option. This mini version of patio swings doesn’t take up much space on your porch and also turn out to be an excellent indoor styling option. If you want to be more flexible, instead of one big patio swing, you can buy a few single hanging chairs. A regular hanging chair can hold weights of around 250-300 lbs. Patio hanging seats are widely popular in the market because of their efficiency and easygoing style. 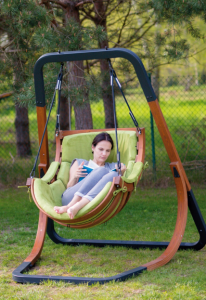 They come in different designs and nowadays many home design enthusiasts are splurging in these swing chairs to revamp their outdoors with a different look and feel. If you are looking for single outdoor swing seats, we recommend the all-weather swing chairs. They are resistant to UV rays and usually made from polypropylene rope so they are also massively durable and climate resistant products what make them perfect for both outdoor and indoor use. 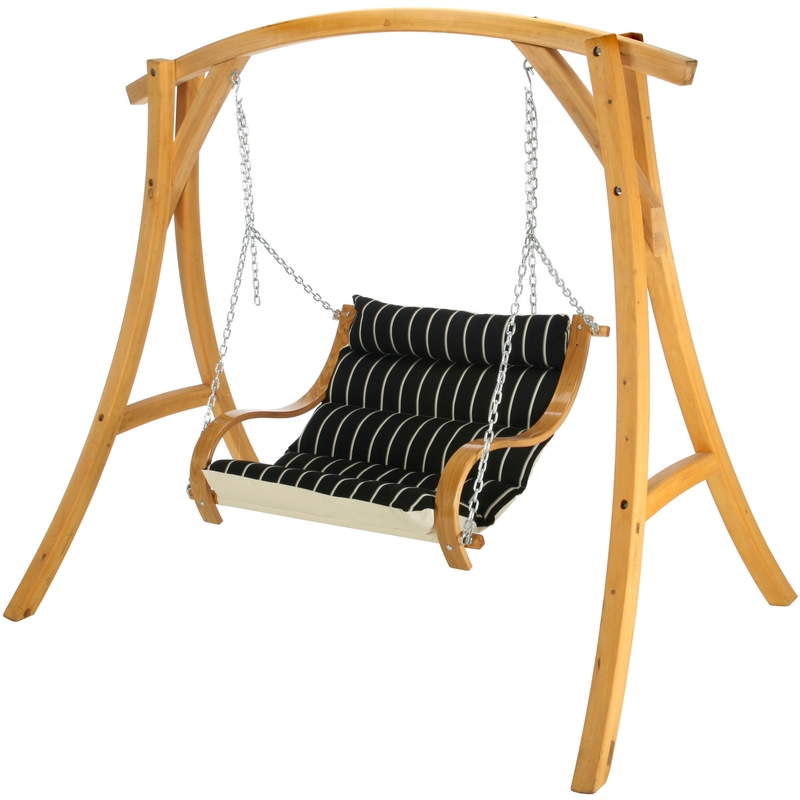 Go ahead and buy one of these swing chairs to add a dash of modernity to your home. There is no doubt that your friends and family will enjoy contemporary swing seats more compared to an ordinary sitting area. 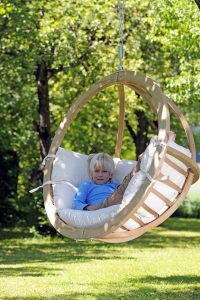 Al these swing chairs work well for both – indoor and outdoor use, especially ball-shaped Hanging Globo Chair which is made of weatherproofed spruce wood. This ecologically responsible design is keeping up with the trend and combines warm wood tones with a contemporary setting. Outdoor Swing Chair with Stand by Island BayAlthough all-weather wicker is made of a synthetic material and predominantly produced for use in outdoor patio furniture, when well made it can look like natural wicker. 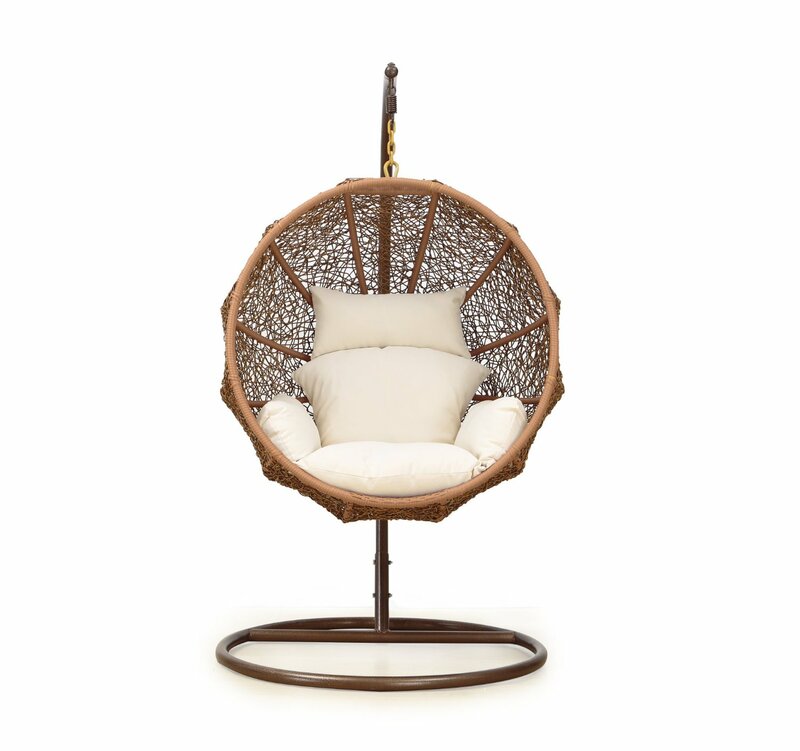 The Round Wicker Swing Chair with Cushion by Island Bay is a very good example. 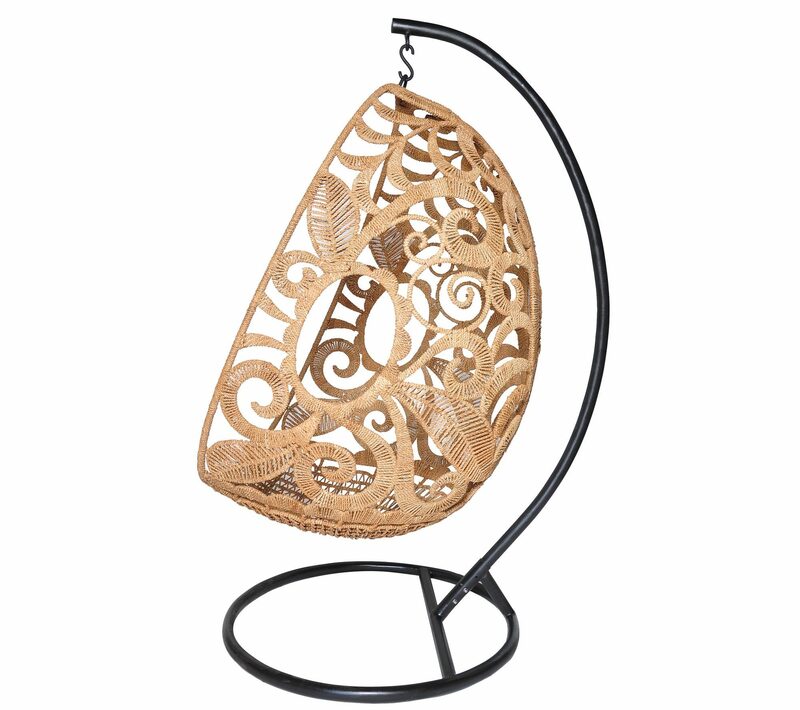 The well thought out and spacious round design does make this piece of furniture a perfect spot for reading, or simply lounging inside your home. 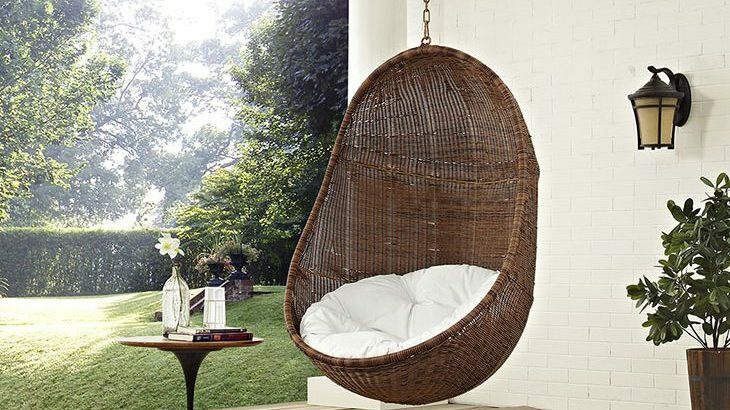 No doubt, having a swing chair in your garden is not only very relaxing but also very tasteful. But which on to choose? We’ll help you to make the right decision and pick the one that best matches your criteria.